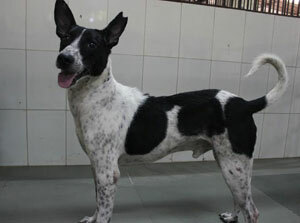 Tommy, our young male, walks on 3 legs due to a past injury but this small handicap doesn't deter him from running fast, being very active and socializing with all other dogs. 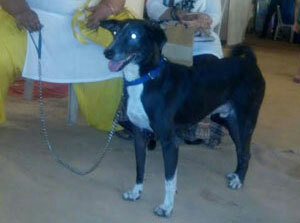 He's playful with a wonderful temperament and is extremely loving and healthy. 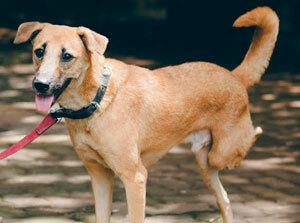 Akshay is one of our most friendly senior dogs. He loves people. 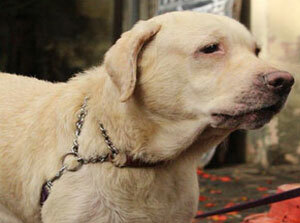 Independent and intelligent, he loves to go for quiet walks around the neighbourhood. He's gentle with a wonderful temperament, which often makes him a show stopper at most events we take him to. 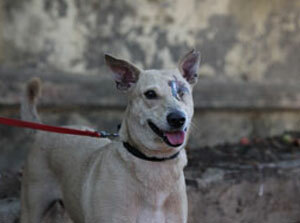 Sandy came to us with a wound on her face, having lost one eye. 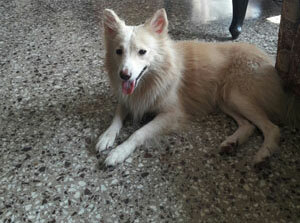 She's a healthy, sweet natured, gentle dog now, who loves her walks. Quiet, yet playful, she gets on well with dogs and children. 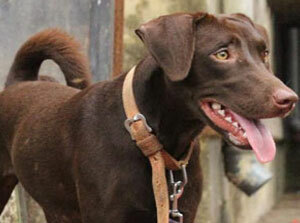 Buddy, our Labrador boy, is loving, intelligent and well trained. Playful and friendly, he bounds with excitement when we have visitors at our kennels.